The Xbox 360 launched Nov. 22, 2005. Within two years, Microsoft unceremoniously discontinued its predecessor. The company expects the 360 to be with us a little longer this time. 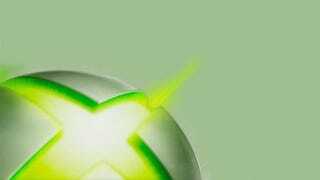 Yusuf Mehdi, a senior Microsoft executive, told Official Xbox Magazine that the company has a goal for the Xbox 360 of reaching a 100 million-unit installation base. To do that, it would have to sell another 25 million Xbox 360 consoles, which Mehdi figures will happen over the next five years. Moreover, Mehdi said the company expects to sell it to new customers "by hitting new price points, getting new classes of entertainment to come with the Xbox, and breaking into new customer segments." For those keeping score, production of the original Xbox was discontinued in 2007. The last game for it, Madden NFL 09, was published in August, 2008. GameStop stopped accepting Xbox games and consoles for trade in February, 2009. That was seven years and three months after the console launched. (The Xbox 360 already is seven years and six months old.) Finally, Xbox Live support for the original Xbox ended in April 2010.